Vince McMahon just made the announcement. Honestly I'm kind of excited to be able to watch a league that has some semblance of parity. This is really exciting to me. The NFL needs some competition. Not saying that this will compete directly with the NFL in terms of possibly taking it over. However, I'm thinking more along the lines of fixing some of the issues in the NFL right now and in turn applying pressure for the NFL to innovate and fix things. Things like penalties, what's a catch and what's not, refs steering games, etc. 253hawk wrote: Vince McMahon just made the announcement. Honestly I'm kind of excited to be able to watch a league that has some semblance of parity. One of the NFL's biggest problems, imo, is that there's not enough good quarterbacks to go around. Its a league of have's, and have not's, at the position. If there's going to parity in the XFL it will be because all of them have crappy quarterbacks. Which will make for lots of bad football. I disagree, I think there are a lot of good QB's put in systems that don't augment their talents and nullify their weakness, everyone wants to copy someone else's stuff very little innovations to adapt to the players strengths, that not just QB's. Seems like everyone gears to stop or do one thing so there are limited players who's strengths match the scheme, we seen it here first hand, innovative on defense initially but forced our offense to do something that most he players were not suited for. There is a reason Bradford, Bridgewater and Keenum were successful in Minny, same with Foles in Philly. For that matter Brady in New England, Bill has a offense that adapts and plays to his strengths, how good would he be in Seattle? Sounds like theyre trying to capitalize on the political climate of the NFL by not allowing any politics or social issues, forcing players to stand for the anthem, and not allowing any players with criminal records in. Its gonna fail so hard. Especially because of the no criminal records thing. They could capitalize on players who cant get a job in the NFL because they repeatedly got in trouble (Manziel,Josh Gordon even though hes back now...) but instead theyre going to close the door to the best talents they have a hope in signing. XxXdragonXxX wrote: Sounds like theyre trying to capitalize on the political climate of the NFL by not allowing any politics or social issues, forcing players to stand for the anthem, and not allowing any players with criminal records in. Yeah thats the one that doesn't make sense. I still think the best thing would be to go pay all the top high school recruits and compete with college instead of the nfl. XxXdragonXxX wrote: I still think the best thing would be to go pay all the top high school recruits and compete with college instead of the nfl. It would be good for the colleges and universities as well. Perhaps there would be a semblance of true STUDENT athletes. You know, kids that could get into whatever school even if they were non-athletes. Meh. Vince is merely trying to capitalize on the negativity surrounding the NFL by reviving the XFL. While I'm sure they'll siphon a small percentage of viewers from the NFL, it won't be a significant chunk. And really, how long will they hang around for a second rate product with sub-par talent? The timing to revive the XFL is good when you consider the portion of viewers they'll poach from the NFL, the nostalgic viewers, and potential boost from the NFL CBA expiring. I'm sure the XFL will probably do okay for the first couple of seasons at least. But after that, very few people are going to tune in to see a bunch of mediocre choir boys on the gridiron. And the players that do have talent will use it as a tryout for the NFL again. But I'll tune in for the aforementioned nostalgia value. And probably tune out a couple of games later, just as I did the first time. Last edited by ballhawks12 on Sat Jan 27, 2018 11:00 am, edited 1 time in total. Quick reminder... conversations regarding politics and social climate, even in regards to the NFL, must involve Seahawks players and be posted in the Off Field Topic Discussion thread. Uncle Si wrote: Quick reminder... conversations regarding politics and social climate, even in regards to the NFL, must involve Seahawks players and be posted in the Off Field Topic Discussion thread. Oops. I'll edit out the politics. Apologies! seaky12 wrote: Meh. Vince is merely trying to capitalize on the negativity surrounding the NFL by reviving the XFL. While I'm sure they'll siphon a small percentage of viewers from the NFL, it won't be a significant chunk. And really, how long will they hang around for a second rate product with sub-par talent? Yeah, it gives the folks who say they wont watch the nfl anymore for "whatever" reason an avenue to wet their professional football appetite. I suppose, If you can call the likely on field product professional football. But seriously though, I'm going to assume Vince McMahon has some ideas on how to up the XFL talent pool and roll out a decent product this time around. I only caught bits and pieces of the XFL presser, but I did note Vince saying that the XFL will be single entity. I'm curious if they will do designated players ala Major League Soccer? I also found your idea of going after high school players pretty interesting. There isn't a snowballs chance of the XFL competing with NCAA, but signing some players with academic/eligibility issues could go a long way for the XFL. On another note, I can't help but wonder if the XFL wouldn't be better served by competing against the arena leagues. That obviously wouldn't place them in the same league as the NFL, but it would give them the opportunity to be a big fish in a small pond and probably the best chance for success. Market the league as a family friendly league that offers an affordable football experience, place teams in football hungry locations, and market it to people that want pro football other than the NFL, kids that watch wrestling, etc. With the right money, proper promotion, and a means of access (*cough* WWE network), the door is wide open here. Especially considering the recent struggles of the AFL and IFL. Nobody can say Vince lacks ambition. Which is kind of silly, because the 'X' in XFL is means *XTREME*. XTREME what...conservatism? I guess Vince could always reneg on these rules after seeing how the public responds to them, but it comes off as sounding purely in defiance of the NFL than it does part of a mission statement. That's a joke though, the XFL won't even be a better product than college football. It'll be a lateral move from the arena league, and if you're into that? Great I guess, but it's a terrible product, especially if you're trying to fill the void of enjoying the NFL. IMO this is the worst time to bring the XFL back. We're already barraged with 24/7/365 ad naseum NFL coverage, TNF, SNF, MNF. Can't get away from it.............so I doubt with that football fatigue that people are going to want to watch a watered down version of something they're already tired of. Well when will it compete first off, and Vince if he could put that money up may be smarter to go to London and Europe and start there and lure NFL players while developing Europeans. That would get the NFLS attention as well as possibly last longer. chris98251 wrote: Well when will it compete first off, and Vince if he could put that money up may be smarter to go to London and Europe and start there and lure NFL players while developing Europeans. 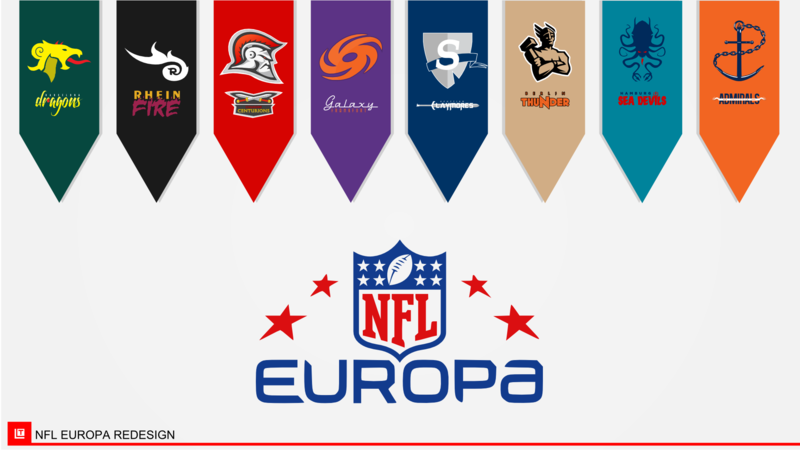 Didn't someone already try this with NFL Europe like 20 years ago? 20 years is a long time and the NFL has been sending teams over more and more as the interest has grown, may work may not, but better chance then another league here competing against them. Yeah good point. And in reality it's not like the NFL product is all that great any more either. TNF is more often then not unwatchable. Replay and officiating is terrible, hell 3 out of the "best 4" teams left standing were quarterbacked by "JAGs"
What's gonna make this league succeed? Remember the United Football League (2009-2012)? Did anyone watch a single game of that? I didn't. Even when the XFL was first around, I think I only watched a few games. The only thing I could see is that since the league is becoming hyper-cautious with player safety, maybe the XFL could find a niche with returning to a form of more violent football. I doubt that happens though, that's probably not viable long-term (i.e. players would sue for health concerns). JimmyG wrote: What's gonna make this league succeed? Remember the United Football League (2009-2012)? Did anyone watch a single game of that? I didn't. Even when the XFL was first around, I think I only watched a few games. You must have missed the WFL then.